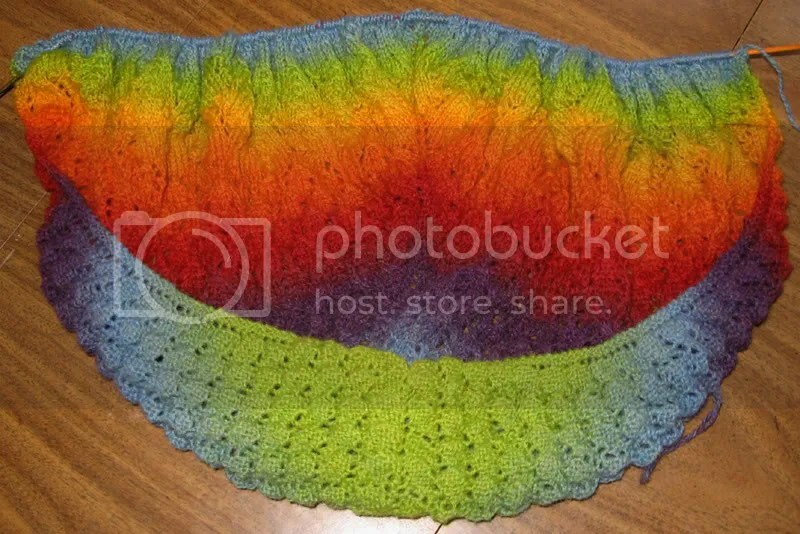 No, my Swallowtail Shawl isn’t finished yet. The first three days of this week were a knitting bust because of work, and I didn’t get a single row completed. To make up for it I spent a good part of yesterday and today knitting my little fingers to the bone, and I have 10 rows left. Tomorrow it will be done. I’m guessing I’ll be into the purple before it’s finished. I could not be happier with how this project has turned out. 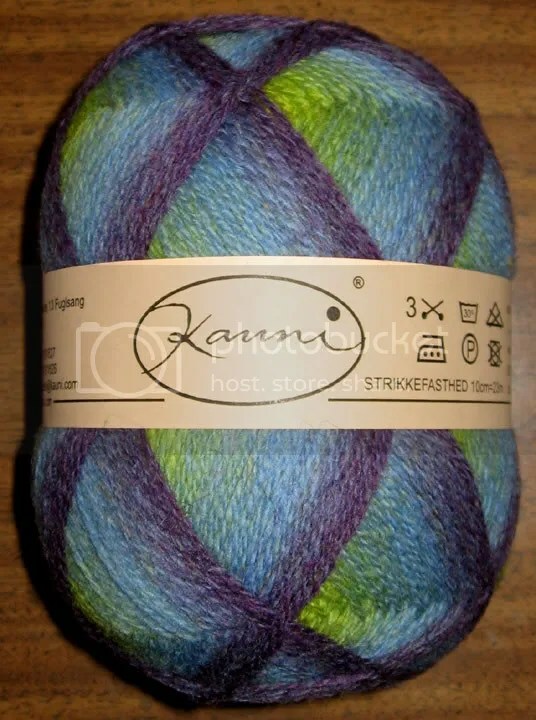 At the beginning of March I ordered a skein of this same Kauni yarn. I knew it was backordered, but didn’t mind waiting. March turned into April, and I got impatient and ordered somewhere else. The backordered skein arrived in my mailbox today. The skein I’m using started with green, blue and then purple. This skein is exactly the opposite: purple, blue green. I’m not sure what I’m going to do with it yet. Maybe just set it on a shelf and tell it how pretty it is. How beautiful!!! You’re the talented one in the family for sure!